1. 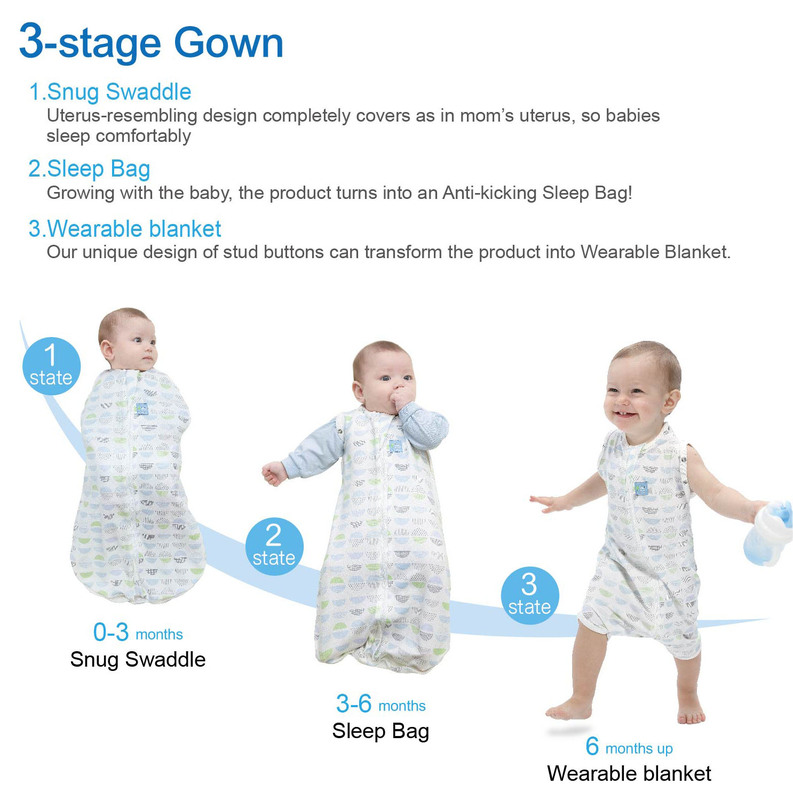 Swaddle Sleep Bag that can wrap up with easy steps in only 3 seconds. 2. Reducing chances of being shocked awake from the sleep. 4. Can be transformed into Anti-kicking Sleep Bag or Wearable Blanket to better suit your needs. 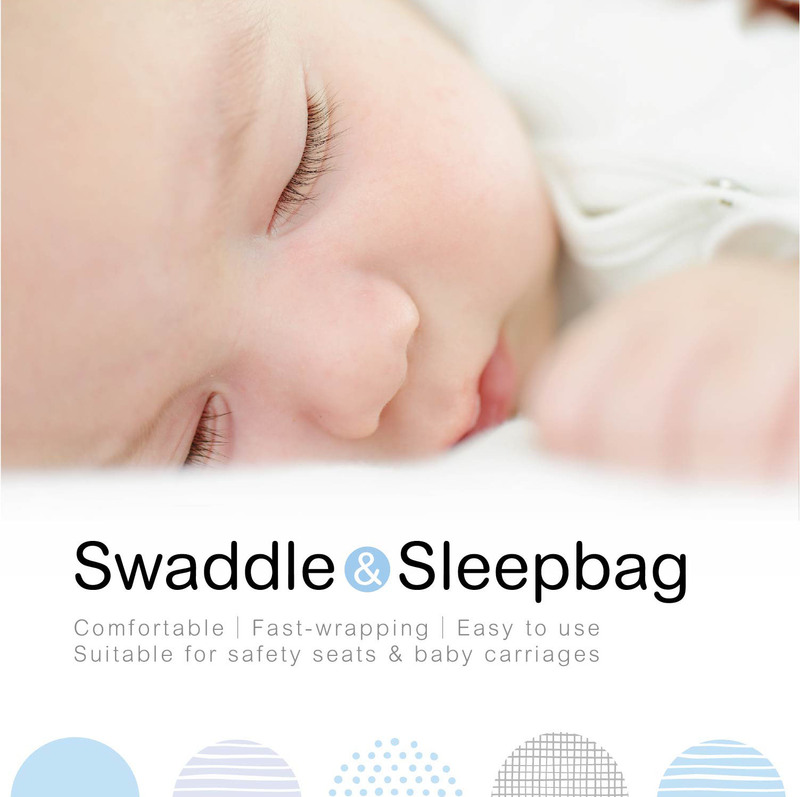 Its tight coverage gives baby the best comfortable environment, reducing chances of being shocked awake from the sleep. Natural material with no formaldehyde or fluorescent, safe usage is guarateed. Creating a breathable yet warm temperature arod you baby. 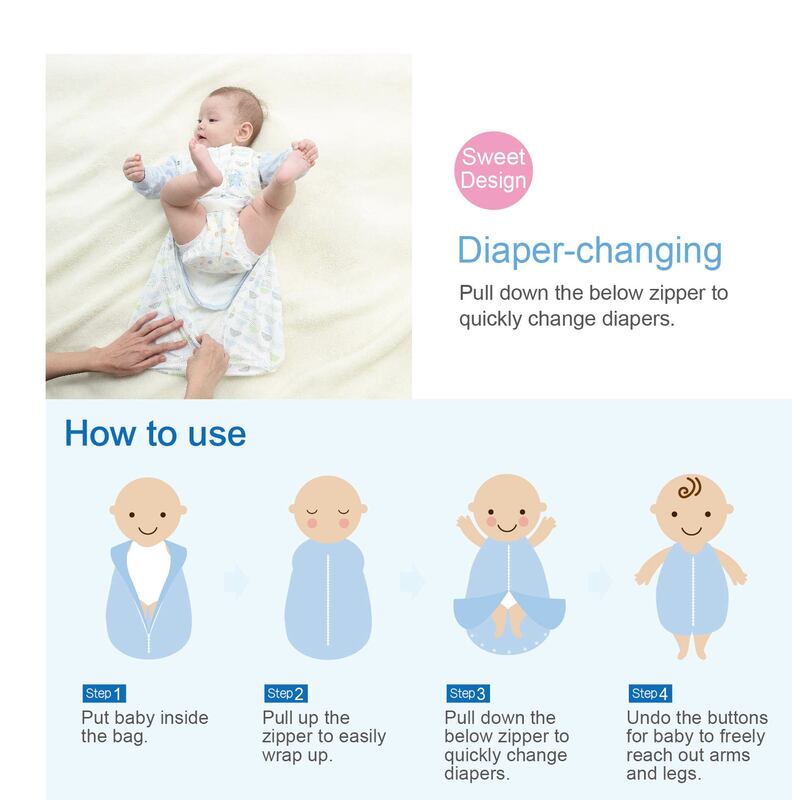 Pull down the below zipper to quickly change diapers. 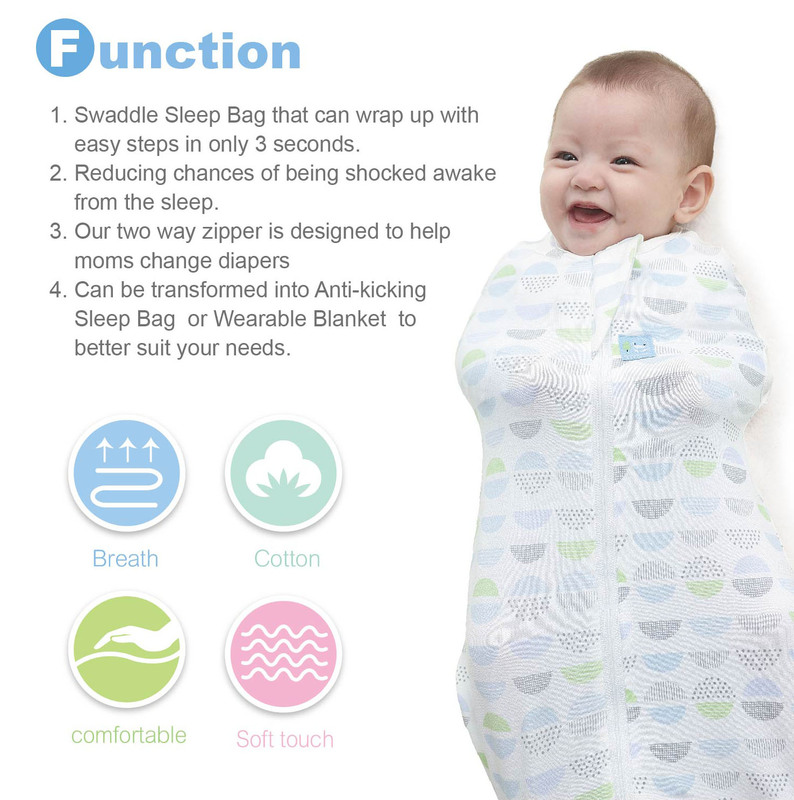 2.Sleep Bag：Growing with the baby, the product turns into an Anti-kicking Sleep Bag! 3.Wearable blanket：Our unique design of stud buttons can transform the product into Wearable Blanket. 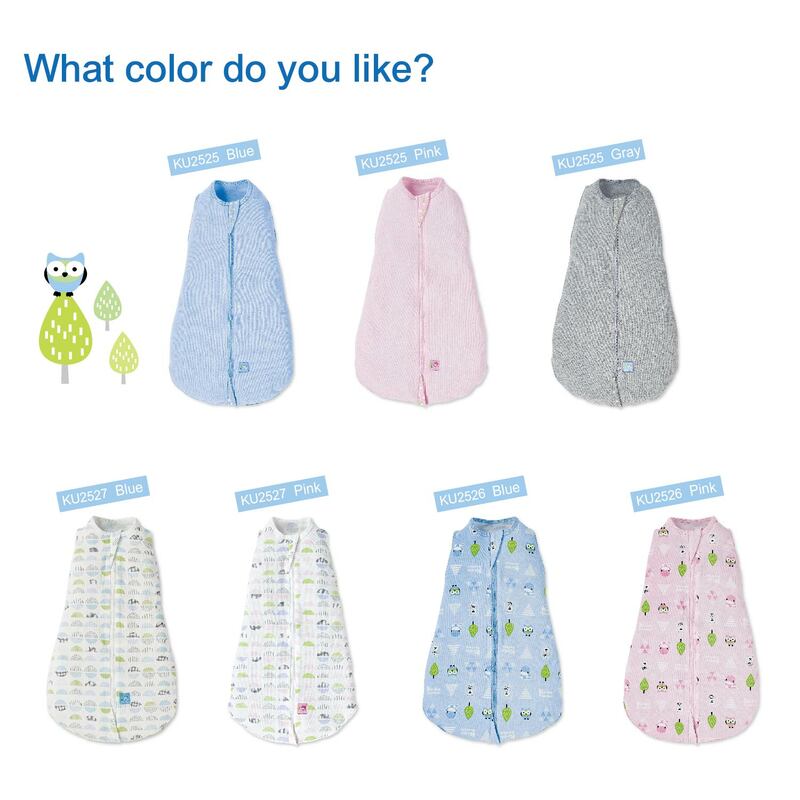 The best clothing for baby’s wearing to sleep. The invisible zipper slider protects skin form be ing scratched. 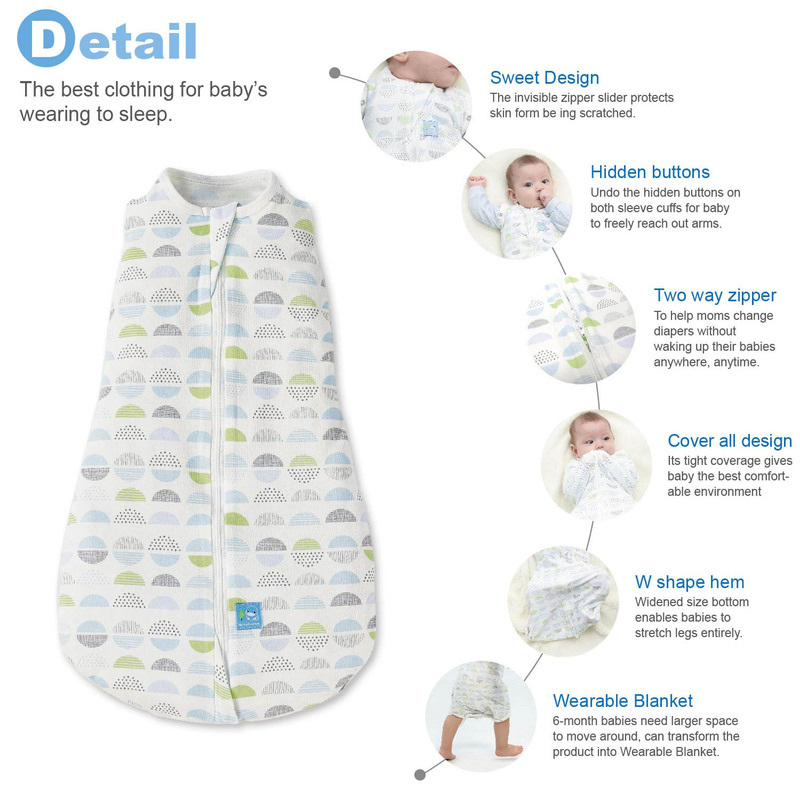 Undo the hidden buttons on both sleeve cuffs for baby to freely reach out arms. To help moms change diapers without waking up their babies anywhere, anytime. 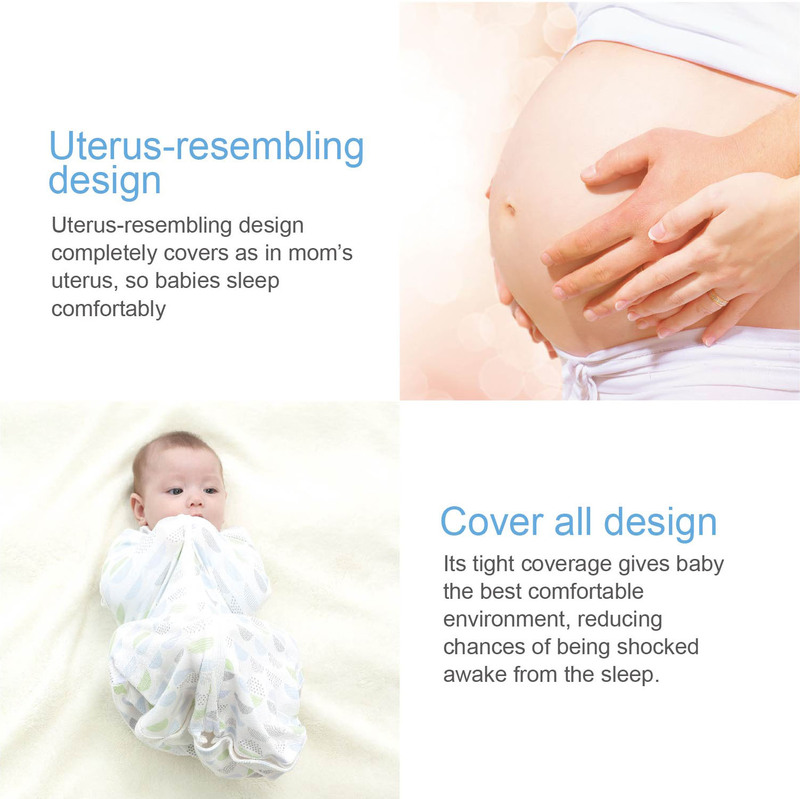 Its tight coverage gives baby the best comfortable environment. Widened size bottom enables babies to stretch legs entirely. 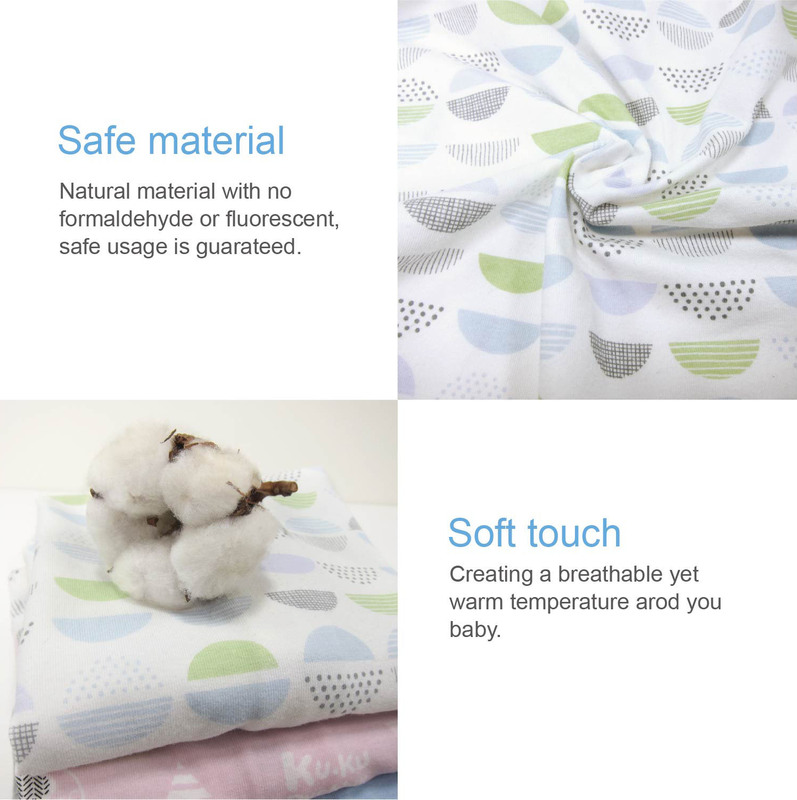 6-month babies need larger space to move around, can transform the product into Wearable Blanket. 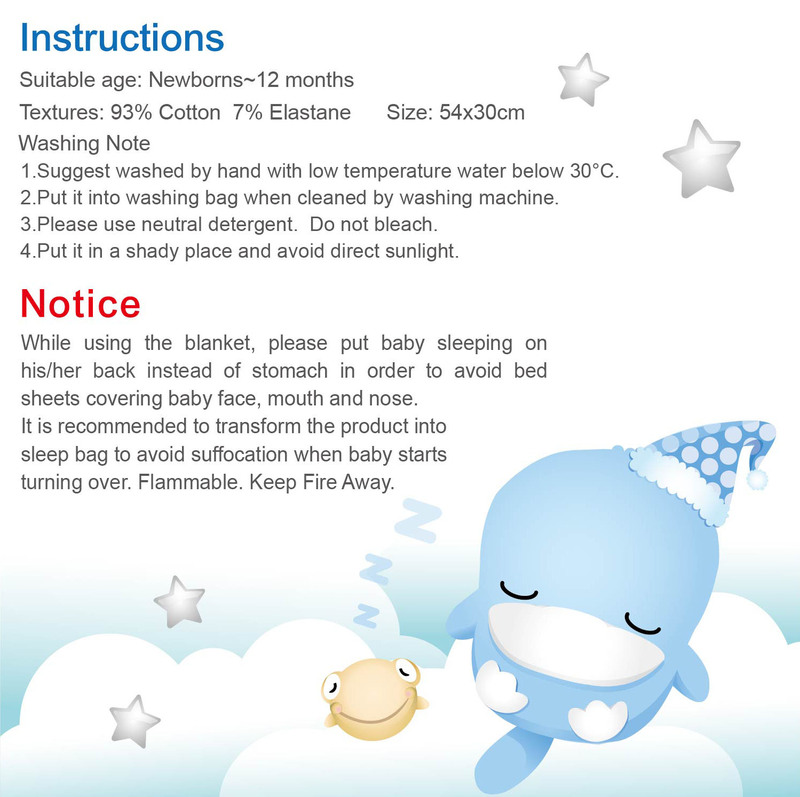 1.Suggest washed by hand with low temperature water below 30°C. 2.Put it into washing bag when cleaned by washing machine. 3.Please use neutral detergent. Do not bleach. 4.Put it in a shady place and avoid direct sunlight. turning over. Flammable. Keep Fire Away.